Today I'm super excited to share the cover of Rachele Alpine's YOU THROW LIKE A GIRL! Rachele is the author of the middle grade novel OPERATION PUCKER UP and the young adult novel CANARY. 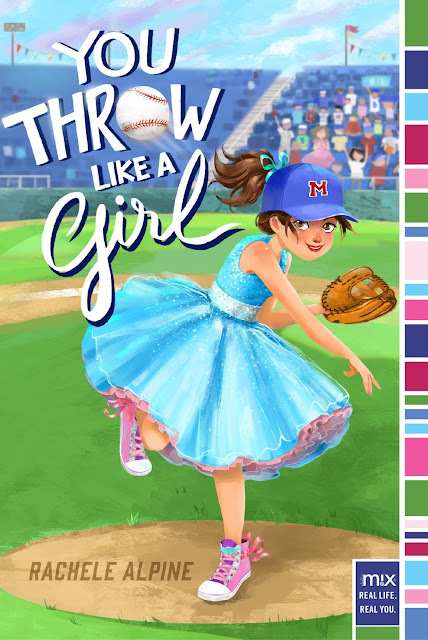 I loved both of these books, and I can't wait to get my hands on YOU THROW LIKE A GIRL. I'll let Rachele take it from here . . .
I’m so excited to share the cover of YOU THROW LIKE A GIRL with all of you today! Thanks, Kidliterati, for hosting me! Hip hip hooray! One of the scariest things about writing a book for me is the cover. I’m always so nervous about what it will look like. When I finally get it, a million thoughts run through my mind. What if it looks nothing like what I envisioned? What if I don’t like it? What if everyone hates it? I was so nervous with my first cover that I waited almost five hours to open the e-mail and then made my husband look at it first! It’s a good thing I loved it, and I can say the same about the cover for YOU THROW LIKE A GIRL because it’s adorable! And now I get to show it to you! Yay! I’m pretty sure my cover artist peeked into my brain when she drew my main character Gabby! And her shoes! 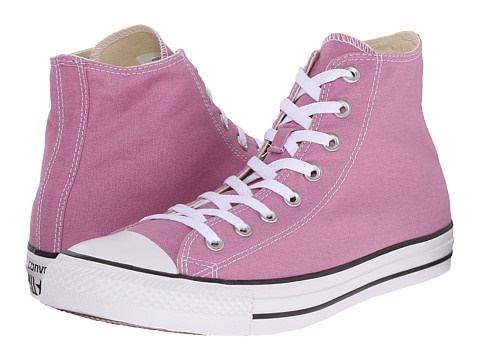 My matching pair should be arriving any day now because who doesn’t want to rock pink Chucks!?! I’m so excited for all of you to read it! Gabby is ready to have the Best. Summer. Ever. Her softball team is rumored to win the championship and she can’t wait for her dad to see her strike out anyone who tries to stop the team from making that happen, after all, he’s the one who taught her everything she knows about playing ball. Except, when her dad is deployed overseas and her mom decides to move the family to stay with Gabby’s grandma while he is away, her summer quickly turns into the Worst. Summer. Ever. That’s because when Gabby arrives to her mom’s hometown, she is devastated to find out that because all the girls are more interested in competing in the annual Miss Popcorn Pageant, there’s no girls’ softball league this year. And after one, terrible, horrible miscommunication, Gabby accidentally signs up for the pageant and her mom, a past beauty queen herself, is ecstatic. For a girl who would rather rock a pitching glove over princess gowns, this is very very bad. But this doesn’t mean Gabby is giving up on her softball dreams. No girls’ team? No problem. She decides to disguise herself and sign up for the boys’ team instead. Her pitching can rival any boy or girl, and she is determined to keep her promise to her dad. Of course, Gabby’s balancing act is not as easy as she thought. Can she learn how to perfect her pitching and pageant skills? Or will her big plan strike out? Rachele Alpine is a lover of sushi, busting a move on the dance floor, and any and all reality TV. One of her first jobs was at a library, but it didn’t last long, because all she did was hide in the third-floor stacks and read. Now she’s a little more careful about when and where she indulges her reading habit. By day she’s a high school English teacher, by night she’s a wife and mom, and she finds any time in between to write, write, write. Her words are almost always created with the companionship of the world’s cutest dog, Radley, a big cup of coffee, and a full bag of gummy peaches. She lives in Cleveland, Ohio, but dreams of moving back to Boston, the city she fell in love with while attending graduate school there. You Throw Like a Girl will release in Spring 2017 from Aladdin M!X/Simon & Schuster. It's perfect for ages 8-13. You can add it to your Goodreads shelf, and you can find out more about Rachele and all of her books on her website. Follow her on Twitter as @ralpine, on Facebook, and on Instagram as rachelealpine for even more fun stuff! This looks like a great book! I need a LOT more sports books! Is it okay to put the new cover up on Goodreads? I can't wait to read this! The cover is just awesome! Such a cute cover and a great story to boot! Can't wait to read it!